At the time, a patent applicant had two years to respond-which Selden gladly took. This was later reduced to a year, then to today’s time limit of 6 months (by paying for 3 months of extensions). 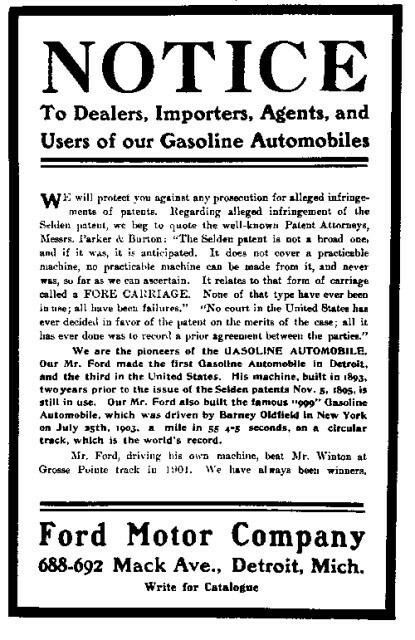 Henry Ford refused and one of America’s largest patent battles ensued. 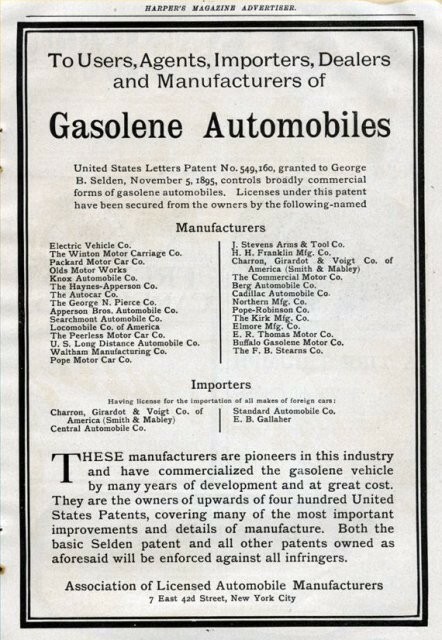 The Association of License Automobile Manufacturers (the business owner of Selden’s patent) put out the following notice to any infringers. Ford countered with his own promise of protection.